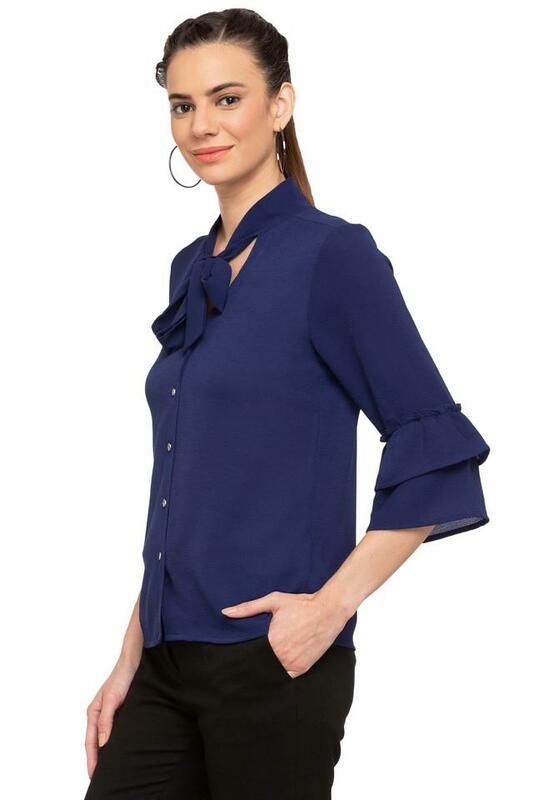 Strut on the streets in comfort wearing this shirt from Latin Quarters. It is made from a good quality fabric, this shirt is also extremely soft against the skin. 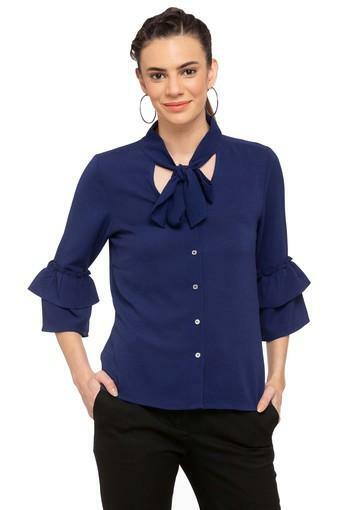 Crafted with unique design, this trumpet sleeves solid shirt comes with a tie up neck and perfect fit design that renders it trendy. 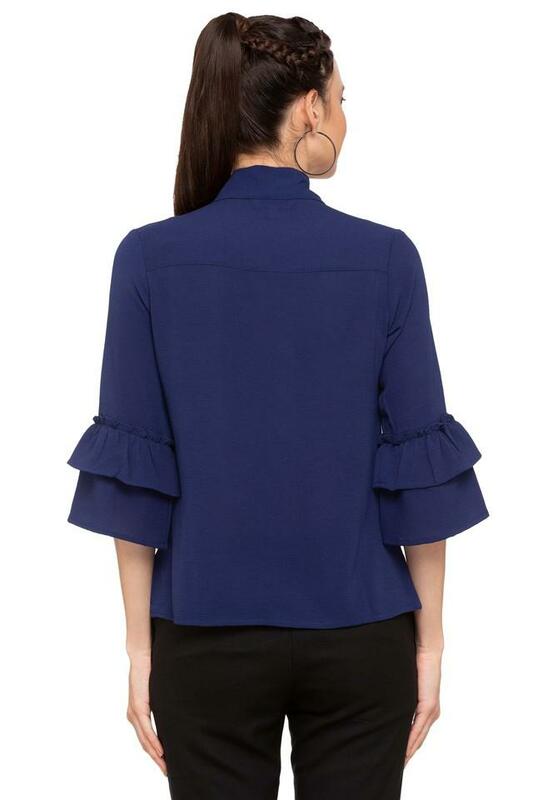 For women who prioritise comfort, this shirt is a must-buy. Style this shirt with a pair of light blue denims and stilettos.